Uniden® U65 4G Cellular Booster Kit Up To 4,000 Sq. 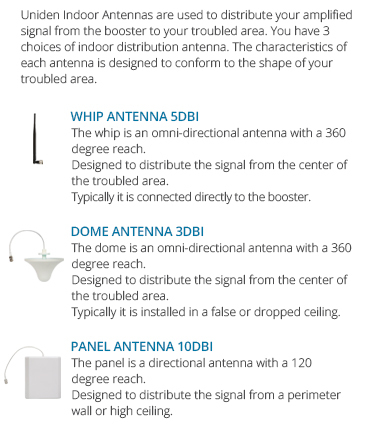 Ft.
Do you have a mounting pole to install your outdoor antenna? Enjoy crystal clear phone calls and lightning fast data speeds with the most powerful booster in its class. 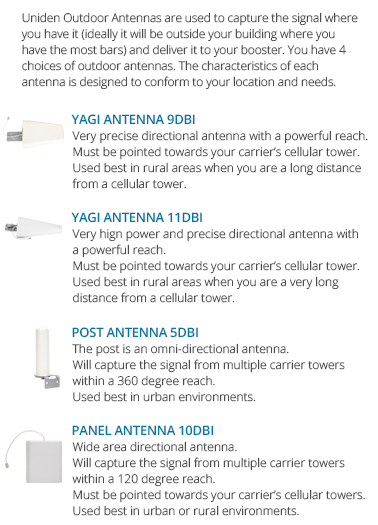 The Uniden® U65 4G Cellular Booster Kit has 65 dB of gain, which can give you up to 4,000 sq. ft of improved cellular coverage. (Dependent on your input signal) This kit works great when your signal outside is very weak (1 bar). Few things are more frustrating than a weak cellular signal causing dropped calls, hanging web pages, frozen video streams and blocked online games. Wirelessly connect up to 30 of your favorite devices and get a boosted signal on all 4G & LTE networks. You will enjoy many years of trouble free performance with its superior build and quality craftsmanship. 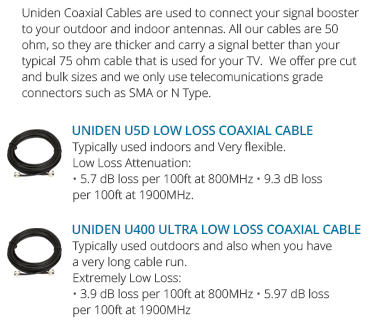 The Uniden® U65 4G uses industrial quality components like the metal shell and N type connectors. It also has an advanced set of technical features, the auto shut off, automatic gain control, and manual gain control will give you the ultimate control over your signal quality. You have nothing to lose, if you are not completely satisfied, you don't pay a thing, we even pay the return shipping. * You also enjoy lifetime service and technical support (American based) and a 2 year warranty. We love to help you fix your signal. Our support team is available by phone, email and live chat. Call us at 1-800-215-7015 and get expert advice for free. 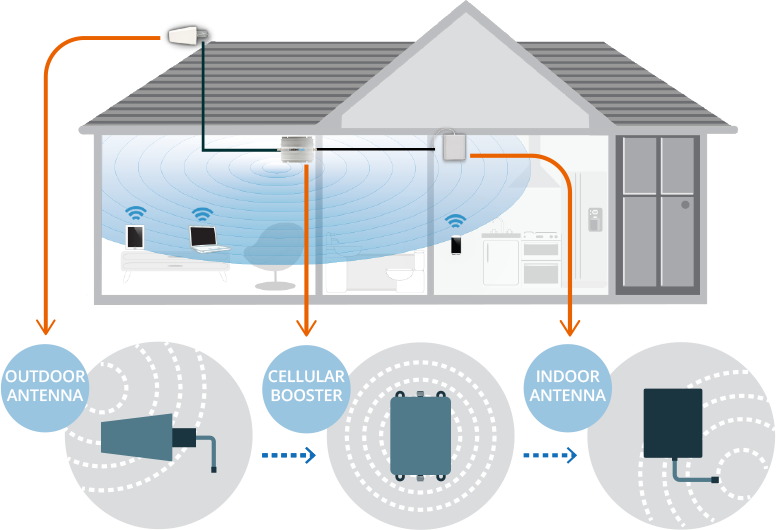 The Uniden® Cellular Booster is the heart and soul of your system.